Transporter chief aboard the I.S.S. Enterprise. 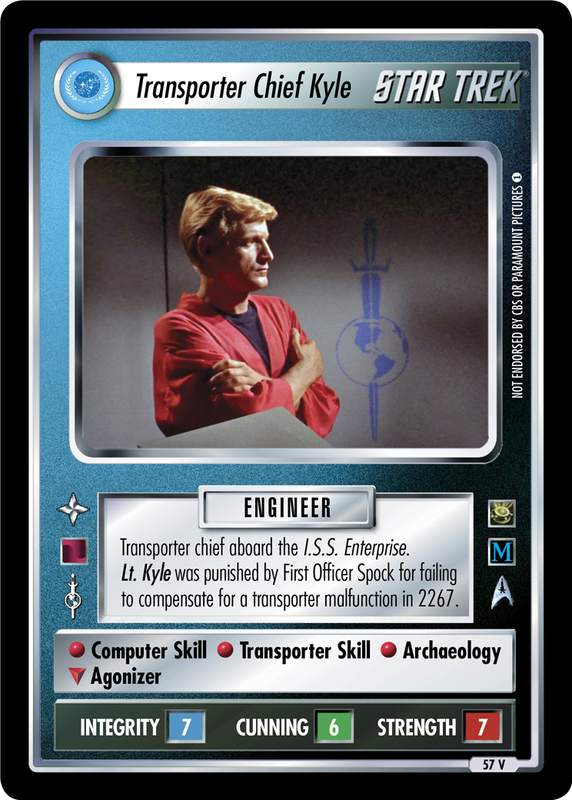 Lt. Kyle was punished by First Officer Spock for failing to compensate for a transporter malfunction in 2267.